The Ozaukee County MOB Hires the International Law Firm Named "Pillsbury"
Property Rights Advocate Steve Magritz filed the "800 Lb Gorilla" lawsuit against the individual members of the Ozaukee County MOB for Breach of Fiduciary Duty as Trustees of the Public Trust created by the Constitutions of The State of Wisconsin and the United States of America. The suit was filed in the district court of the United States in Washington, D.C., the seat of the federal government. 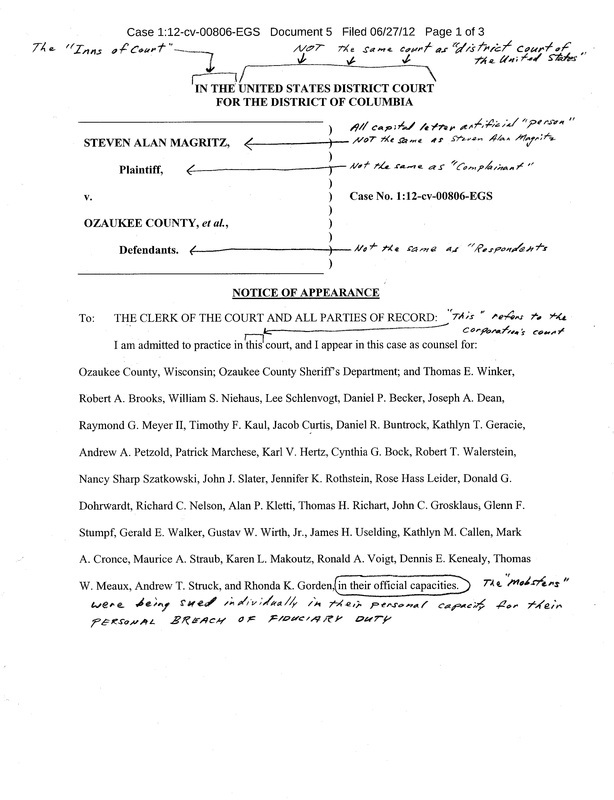 Magritz also filed suit against the Public Corporation named OZAUKEE COUNTY for the imposition of a Constructive Trust for the return of his stolen private property since it was the Corporation that had naked possession of the 62.25 acres of land with appurtenances that was stolen by force of arms from Magritz. 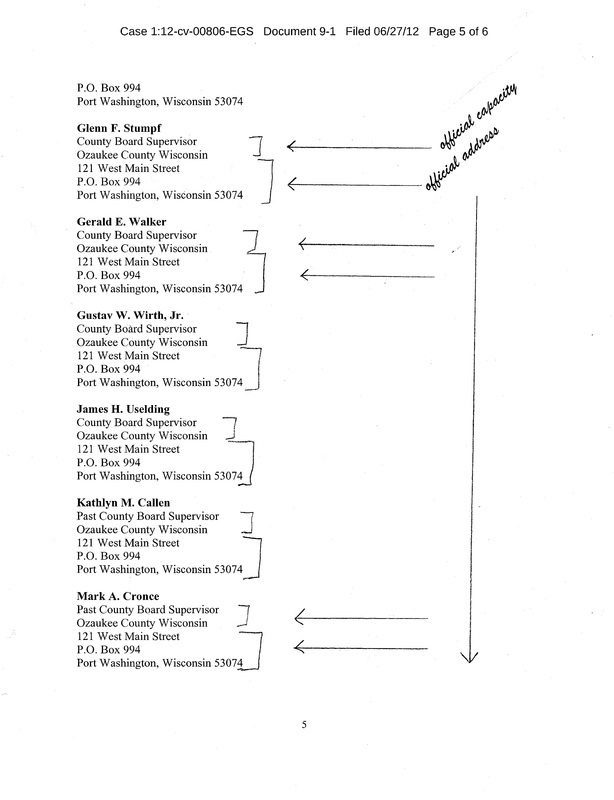 Perhaps for the first time in twelve years the Ozaukee County MOB took Magritz seriously because now their criminal misconduct in public office and misfeasance and malfeasance and Breach of Fiduciary Duty as Trustees of the Public Trust was about to be exposed to the entire country. 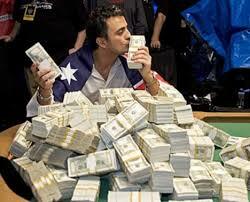 And more importantly to them, their personal assets, not the assets of Ozaukee County, were at risk. Previously the Ozaukee County MOB had been successful in libeling Magritz in the all-to-willing lap-dog press, concealing their criminal misconduct in Public Office with the help of a complicit lap-dog press, and shutting him up by locking him away in prison. But now they each were being sued in their INDIVIDUAL capacity. The members of the OZAUKEE COUNTY MOB were sued as individuals, for Breach of Fiduciary Duty. The Complaint was a complaint in Equity against each Public Officer, separately, individually, in their private capacity. They perjured their oath, which is a crime of moral turpitude. One can only imagine the thoughts of the members of the OZAUKEE COUNTY MOB when they were told by the shyster attorneys that it was THEIR derriere on the line, personally. It was THEIR personal property at stake. That means EVERYTHING these dishonest, lying, cheating, stealing, perjuring Public Officers owned, or thought they owned, personally, was on the line. Look up usufruct. Magritz filed a "first of its kind", mammoth "800 Lb Gorilla" lawsuit against the Ozaukee County MOB, a lawsuit that the criminal element in government could not answer. 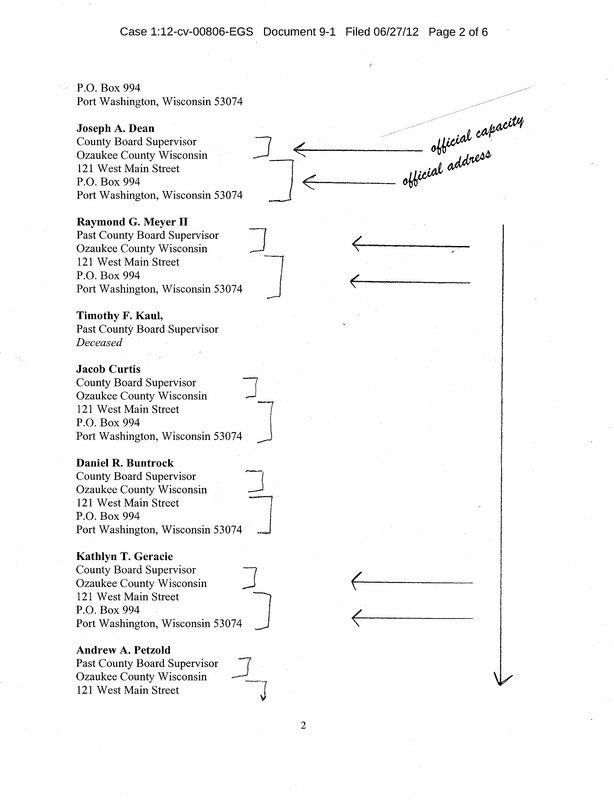 The Ozaukee County MOB could not answer the lawsuit because they, as individuals, each already had agreed to their Breach of Fiduciary Duty when Magritz exhausted the pre-lawsuit Administrative Process as indicated in Exhibit F attached to his Complaint. Besides having the Agreement of the Parties by way of the Administrative Process and tacit procuration, the facts were on Magritz's side. The law was on his side. The Constitution of the United States of America was on his side. The Bill of Rights was on his side. The Constitution of The State of Wisconsin was on his side. The law of contracts was on his side. Untold dozens, if not hundreds of settled cases were on his side. And just plain common sense, honest dealings, and justice were on his side. 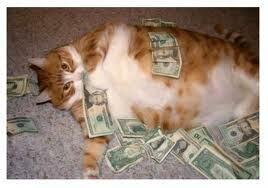 The Ozaukee County MOB was probably a tad concerned, because their personal assets were at stake. No assets belonging to the Corporation named Ozaukee County for which the taxpayers would be liable were at stake. So what could the Ozaukee County MOB do? 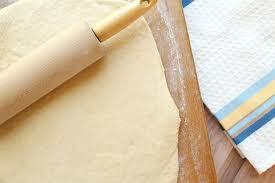 The MOB hired a politically influential International law firm named Pillsbury (www.Pillsburylaw.com). Pillsbury currently has 15 offices worldwide in: Abu Dhabi, Houston, London, Los Angeles, New York, Northern Virginia (Tysons Corner), Nashville, Sacramento, San Diego, San Diego - North County, San Francisco, Shanghai, Silicon Valley, Tokyo, and Washington, D.C. Pillsbury has in excess of 800 attorneys, with 100 of them specializing in the regulatory and public policy area. The firm has strong connections to both political parties. 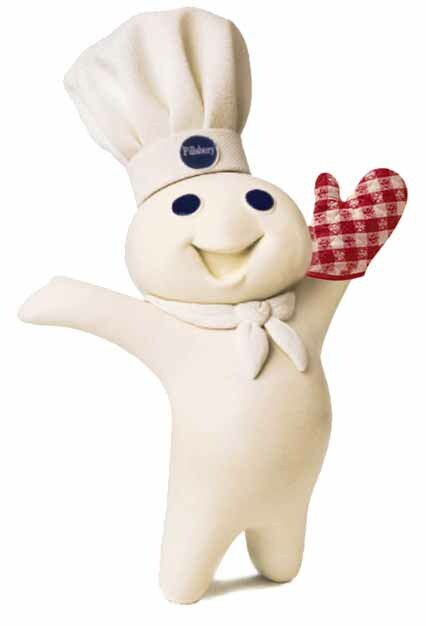 Pillsbury greases both "sides" of the political aisle. Pillsbury has political clout. Pillsbury attorneys contribute heavily to Republicans and Democrats alike. Republicans and Democrats are like the two sides of the same coin, or like the two faces of Janus. They represent the epitome of the Hegelian dialectic on the federal level. There is no difference at the top between the Democrats and the Republicans. None. The rhetoric may be different, the processes whereby they attain their goals may be different, but the final goal(s) are the same. All political hacks, regardless of their political color, are on the take in one way or another. Some through cash, some though "favors", some through blackmail, some through government "privileges", and some through government contracts for products or services which is the favored modus operandi in the State of Wisconsin. 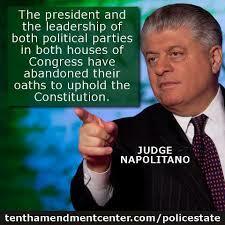 Virtually every judge begins his "career" as a political appointee. And all judges, both federal and state, are employees paid by the same political entity that employs the public prosecutors and other "public officers" or employees. Attorneys are "officers of the court" and owe their first duty to the "court" and the political entity the "court" serves. As such, attorneys, in this case Pillsbury attorneys, like government attorneys, can perpetrate fraud upon the court not only with impunity, but will be aided and abetted in the fraud by fellow bar members and officers of the court. All belong to the same "good old boys club", the bar association. 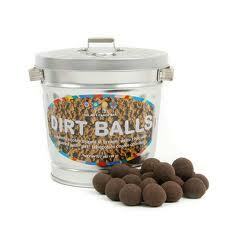 Files discussed on this page are downloadable at the bottom of this page. 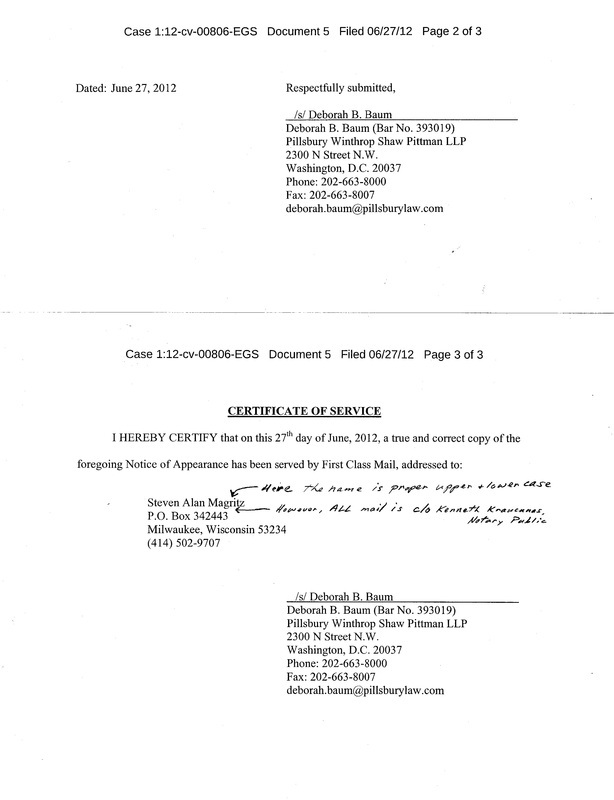 Pillsbury law firm partner Deborah B. Baum files a Notice of Appearance in the Wrong Court and Acknowledges in her documents that she is an INTERLOPER. Did the Court transfer Jurisdiction to a different court and Not inform Magritz? Is the Magritz suit sitting dormant in the Original Court? The United States District Court is NOT the same court as the district court of the United States, where Magritz filed his suit. See "Army Regulation 840-10"; "General Order Number 100"; the "Lieber Code". Today's non-constitutional corporation courts do not recognize natural "persons", only artificial "persons" which are designated in all capital letters. The name "STEVEN ALAN MAGRITZ" represents an artificial person, which is not the natural man designated as "Steven Alan Magritz" who filed the Breach of Fiduciary Suit against the insurrectionist Public Officers in their Individual Capacities. Look at the "names" engraved on tombstones. They are all capitalized. The "Inns of Court" come from Great Britain. A "Defendant" in a suit at "law" is not identical to a "Respondent" in a suit in Equity Jurisdiction. Baum is admitted to "practice" in "this" court, the corporation court designated "United States District Court". But Baum is not "admitted" to "practice" in the "district court of the United States", is she? 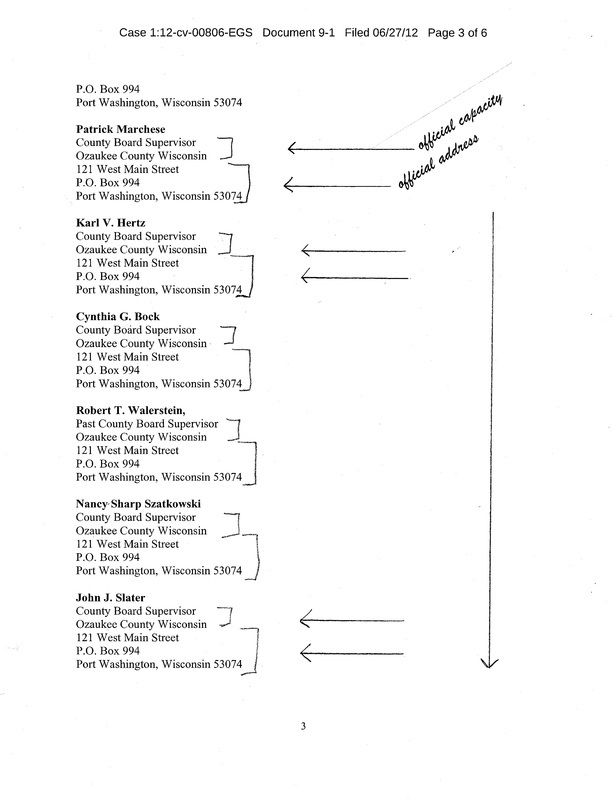 Baum makes known, as she does at least seventeen (17) times in various documents, that she represents the named "persons" in their "official capacities", NOT THEIR INDIVIDUAL CAPACITIES. Perjury of one's oath to support the Constitution of The State of Wisconsin is not an official act. It is a crime of moral turpitude. Breach of Fiduciary Duty is not an official act. Both are OUTSIDE of their official capacities. They are outside of the law, hence "Outlaws". Since Baum claims to be representing the Public Officers in their "official capacities", and Magritz is suing the Public Officers in their "individual, private capacities", Baum thus acknowledges that she is an Interloper or Trespasser upon the Magritz suit. Actually, to be "fair" to Baum, more likely than not she did not write the false statements, the fraud upon the court, that was subsequently filed under her signature. 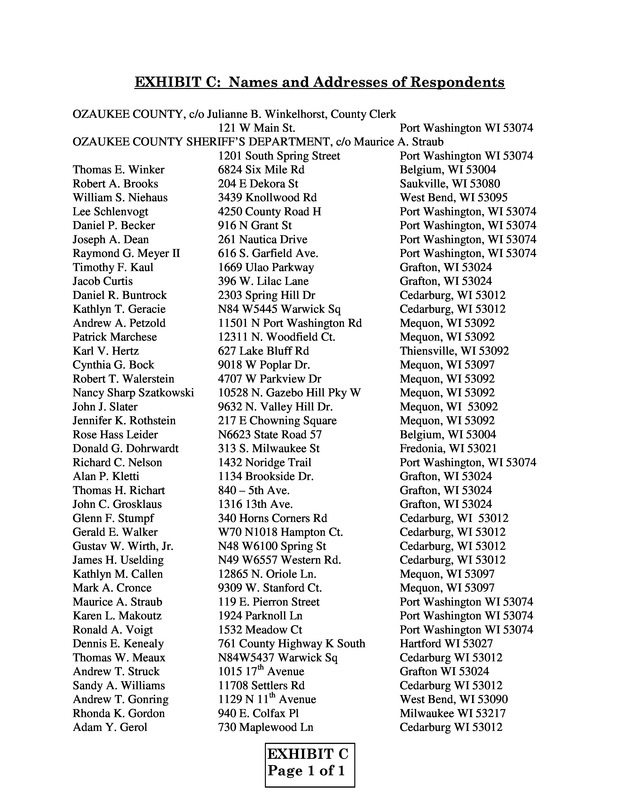 Those lies, those fabrications, those deceits, were likely penned by Wisconsin pro hac vice attorneys Andrew Thomas Phillips, Esquire, Wisconsin State Bar No. 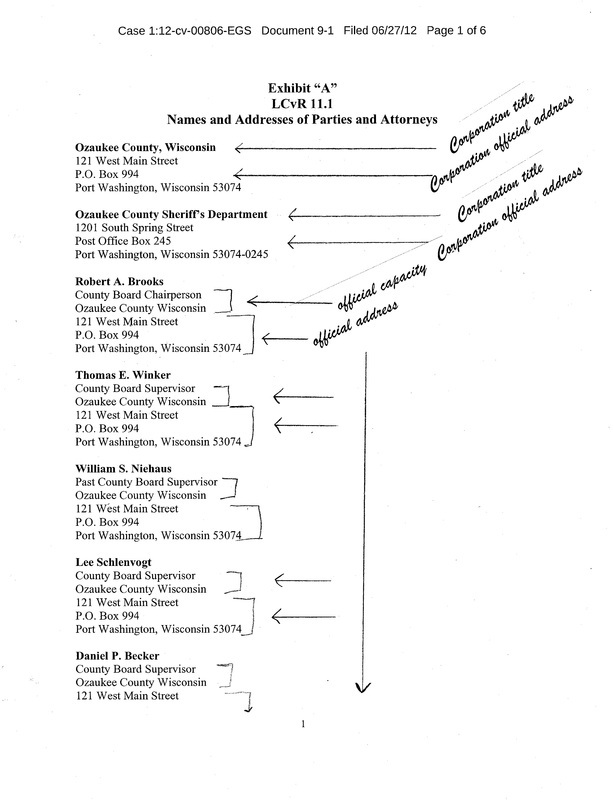 1022232, and Christine Kay Van Berkum, Esquire, Wisconsin State Bar No. 1087421. Give "credit" where credit is due. Two more corrupt attorneys, Phillips and Van Berkum. The Ozaukee County MOB held secret, closed door meetings with Phillips, who advised them of the "progress" they were making in stopping the Magritz lawsuit. Baum (Phillips & Van Berkum) represent defendants in "their official capacities". Perjury of one's oath to support the Constitutions is NOT an official act. Breach of Fiduciary Duty is NOT an official act. Perjury of oath and Breach of Fiduciary Duty are both OUTSIDE of their official capacities. 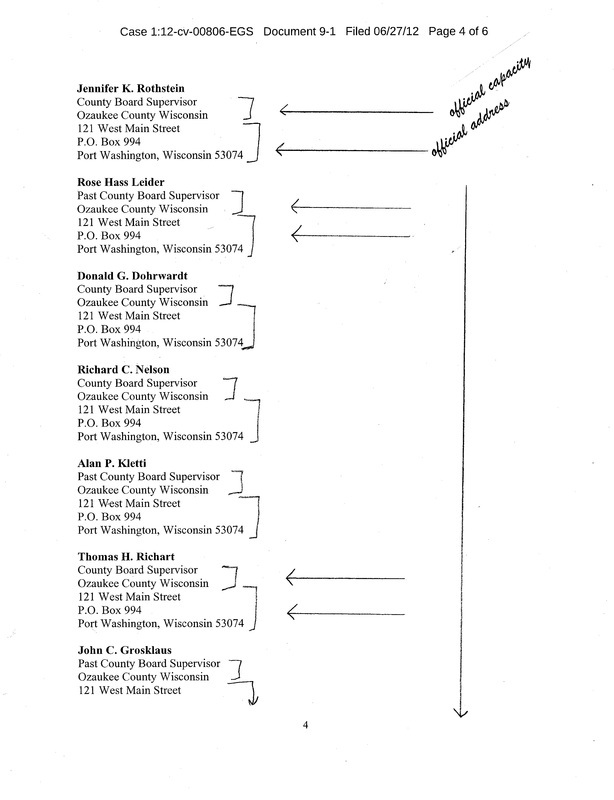 Here are the Names, "official" titles, and "official" Addresses of those "Persons"
who Pillsbury / Baum represent in their OFFICIAL CAPACITIES. 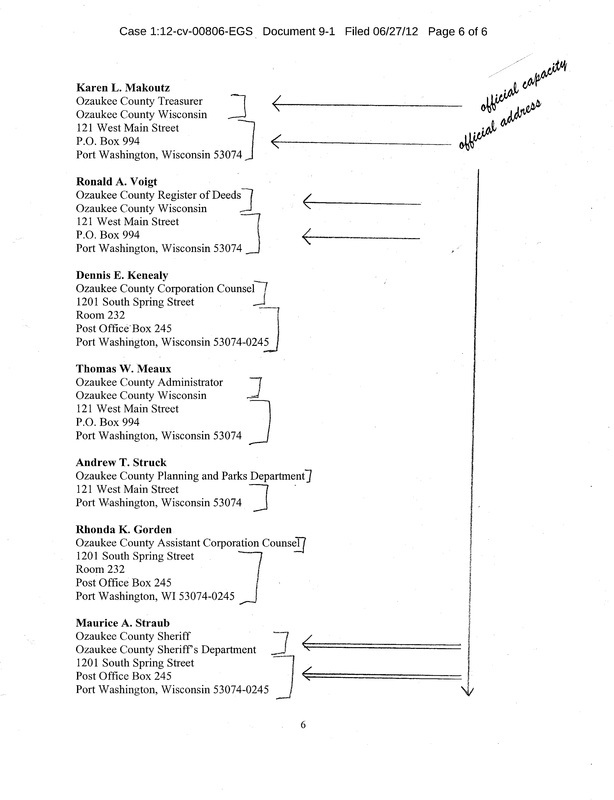 Also Notice Pillsbury's / Baum's Defendants all have the Corporation(s) address. Insurrectionist Public Officers Who Were Sued By Magritz. and their Address is that of their "Residence".